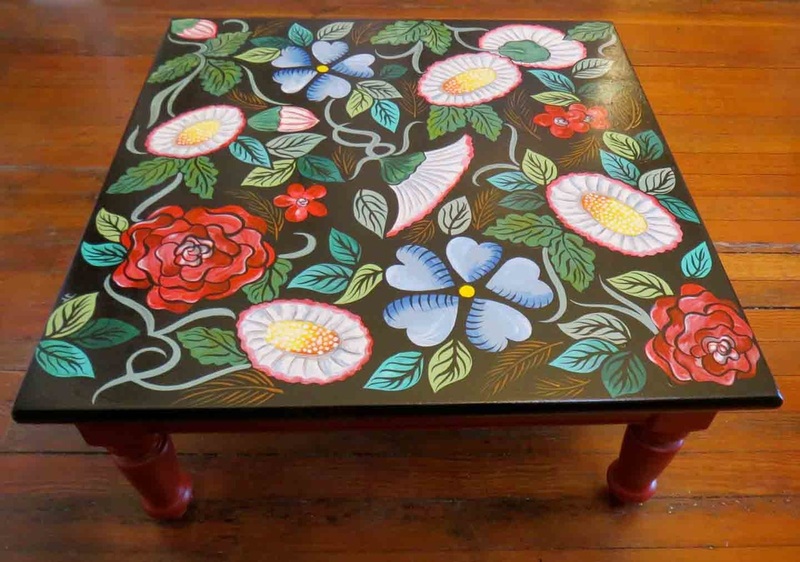 My custom hand-made painted furniture are one of a kind creations. ​This coffee table is 36" x 36". Contact the artist for commissions. 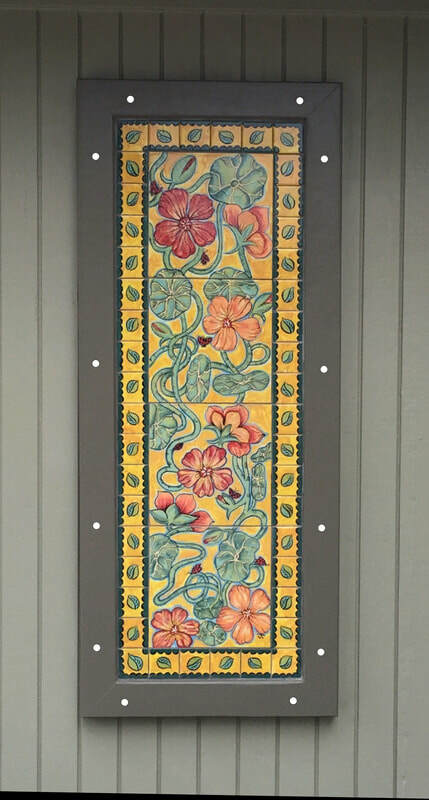 Outdoor patio wall tile art. Consisting of 4 12" tiles surrounded by a border of 4" tiles.